My twelve-year-old daughter was recently backed up against a wall at school by someone much taller and heavier than her—that classic pose with one hand against the wall behind her head, body leaning into her as he talked, running his other hand through his hair, acting so cool. She did not feel like she was in any danger, but she did not like the feeling of being trapped there. So back home in the safety of our kitchen, we practiced different strategies for what she could do if it ever happened again. She could push him back with two hands. She could casually take one step away from the wall. She could even point, “Look, over there!” She does not need to make a big deal out of it, but practicing these small adjustments empowers her to discretely shift control of the situation. Figuring this out may be more complicated for Asian American girls and women because they live at such a crossroads of different stereotypes and expectations—for Asians, Americans, Asian Americans, Asian American girls, Asian American women, girls and women, daughters, partners, etc.— many of which are contradictory. Talking about race is not enough, nor is talking about gender. We need to talk about both. In addition, parents may not want to talk about it or may not know how. Protect and monitor your online identity. Watch your drink. Do not get completely out-of-control drunk in public. Always travel with a friend and watch out for each other. Always let someone know where you are and who you are with. Keep an eye out for escape routes before you need them. Be aware of how others may perceive you. Do not let their misperceptions drive you, but understand that sometimes people never get past the mask or stereotype they perceive. Sometimes these stereotypes can be used to your advantage. Other times you have to project the “real you” twice as loudly to overcome the mask. Do not do the opposite of what your parents say just to be contrary. They may be old and out of touch, but they want the best for you. Try to understand. Learn self-defense, martial arts, or dance. Walk briskly with your head held high. How you carry yourself goes a long way. Do not worry so much about being nice, rehearse those responses that you find embarrassing. 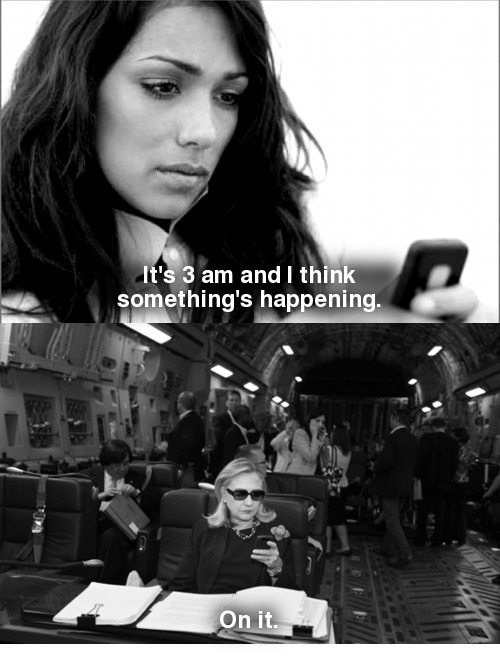 Then, as if on cue, Texts from Hillary Clinton to the rescue. Wow, is she badass. I want to be badass like that when I grow up. I love learning from our feisty elders. 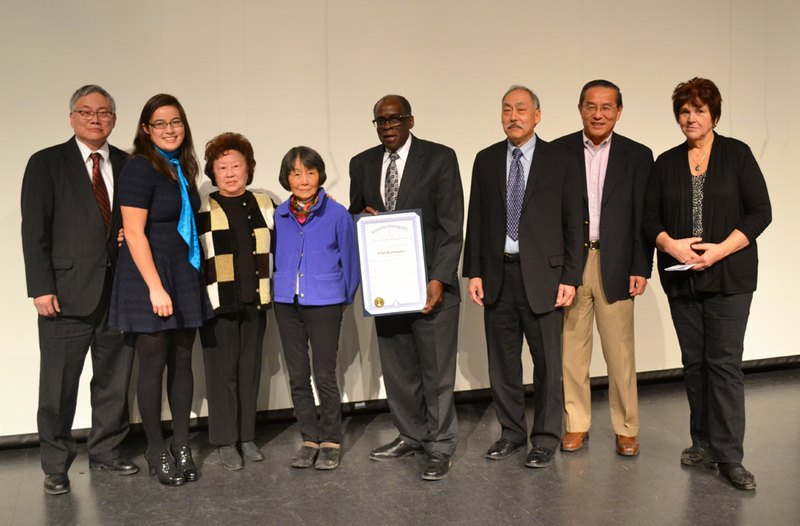 Mary Kamidoi of the Japanese American Citizens League recently spoke at my daughter’s high school about her experiences during the Japanese American internment during World War II. She speaks starkly about the conditions, indignities, and costs of the internment, but she follows up with a very strong message to young people to stand up and speak out against bullying and harassment. She has no patience for people who meekly submit “nicey-nicey” because they think it is their culture (gaman in Japanese), and she demonstrates over and over again the strength that grows when one takes the time to speak out and educate others. Total Badass. Frances Kai-Hwa Wang is a second-generation Chinese American from California who now divides her time between Michigan and the Big Island of Hawaii. She is a contributor for New America Media’s Ethnoblog, Chicagoistheworld.org, PacificCitizen.org, and InCultureParent.com. She is a popular speaker on Asian Pacific American and multicultural issues. Check out her Web site at franceskaihwawang.com, her blog at franceskaihwawang.blogspot.com, and she can be reached at fkwang888@gmail.com.